Original Video offers you the chance to invest in the most technologically advanced automatic DVD and game rental machine on the market. 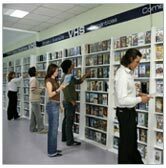 - 15.7 million UK households have a DVD player at home with nearly 10 million of these renting movies monthly. - It is a business that is open 24/7, allowing you to profit from today's demanding 24-hour society. - Film production is our greatest support with more and more new releases from Hollywood as well as from other countries. We know that every month there will be new films to attract the customer’s attention. - Multinationals and film distribution companies are contributing to the development of the industry not only through new releases but also through re-mastering old classics on DVD. 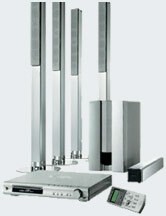 - Improved image and sound quality are the best features of the DVD. With High-Definition and Blu-Ray compatible players becoming increasingly popular, the consumer can enjoy the home cinema experience through buying and renting DVD’s. - The video games market is a strong section of the entertainment industry with new games launching regularly. This has proven to be the perfect complement to our machine as nowadays games consoles are present in many households. 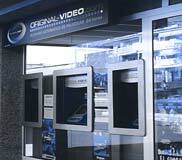 - Original Video machines are fully compatible for distribution of HD-DVD, Blu-Ray, X-Box, PS3, PS2 and Nintendo Wii. Why not send us an e-mail and visit the factory?